Now-a-days we carry so much of important and personal data on our smartphone that if it gets in wrong hands, things can become really worse. Right from our personal chats to personal pictures, there is so much data on our phone that it needs to be kept safe or hidden. No doubt, you can lock your apps via a third party app but, keeping these files hidden is even better and safer. You can find a number of apps on Google Play Store which can be used to hide and encrypt files but, we have come up with an even better app. Andrognito 2 is a perfect app for all types of users who wish to save their private data. This amazing app is capable of hiding and encrypting any type of data into its secure vault at super-fast speed. It uses military grade encryption algorithm and is one of the best ways to secure your files. The app feature pure Material Design and works perfectly on Android 5.0 Lollipop. It has been featured in XDA-Developers, XDA TV, LifeHacker, PhoneArena and many more famous platforms. How to use Andrognito 2? First, you need to download the app from Google Play Store. It is completely free to use and is small in size. 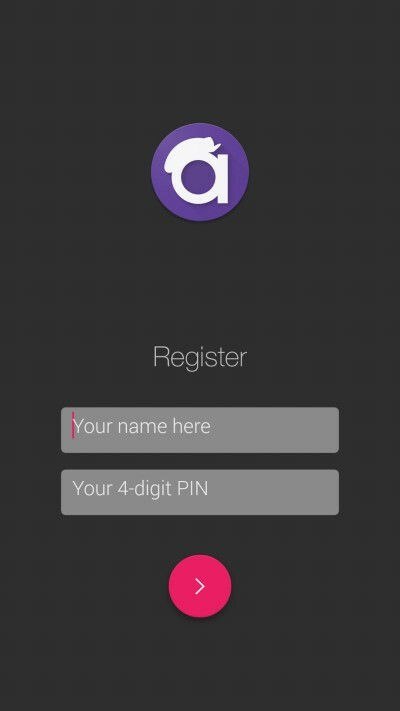 Now, open the app and it will ask you to enter your name and a four digit PIN. It will ask you to enter the pin again to confirm. 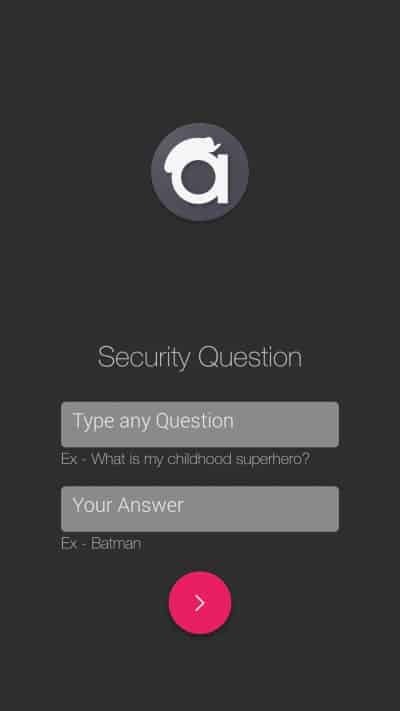 After that, it will ask you a security question and an answer for that question. Now, you need to create the vault by naming the vault and adding a 4 digit PIN to it. If you wish, you can go through the tutorial offered by the app. It will help you to know how to use the app. 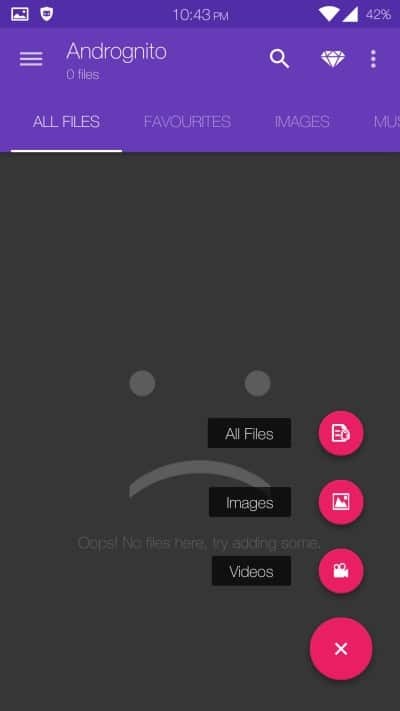 To add a file for hiding, just press on the “+” button on the bottom of the screen. It will give you three options to choose from. You can either choose to hide them or encrypt them. Just select the option at the top of the screen and it will be done. You can save any type of file and it can be categorised in a proper way so that you don’t get confused. It uses military grade AES 256 bit encryption algorithm which is almost impossible to decrypt. The encryption and decryption speed is super-fast and you don’t to wait hours for either encrypting or decrypting the files. Another, advanced feature of this app is that it offers a preview of large encrypted files and it supports all types of files. Andrognito 2 also offers some out of the box features but, they are available only in the Pro mode which is paid one. You will get unlimited vault storage in the paid version along with time-based PIN system. The paid version can also be used to deceive intruders by making a fake account. You can also hide the app icon from the launcher and can also fake an app crash to deceive the intruders. Basically, the paid version offers full customization for saving your data. In this fast moving world, you can’t even trust your friends. When it comes to phone data, you should protect it at any cost, so we would suggest you to use this amazing app to safeguard your data. Feel free to use this app and let us know your views in the comments below.